An emergency is a serious, unexpected, and often dangerous situation requiring immediate action. Dental emergencies can occur when you least expect them, and we understand you cannot always wait for an appointment. At Normanhurst Dental, we understand that seeing a dentist as soon as possible for a dental emergency is very important. Our practice offers emergency dental care whether you are a new or regular patient, and we do our best to fit you in on the same day to treat your problem and get you out of pain. We are able to provide a same day emergency appointment in most situations. In addition to this, our extended opening hours will help those to fit in a dental appointment for those unable to see us during the day. 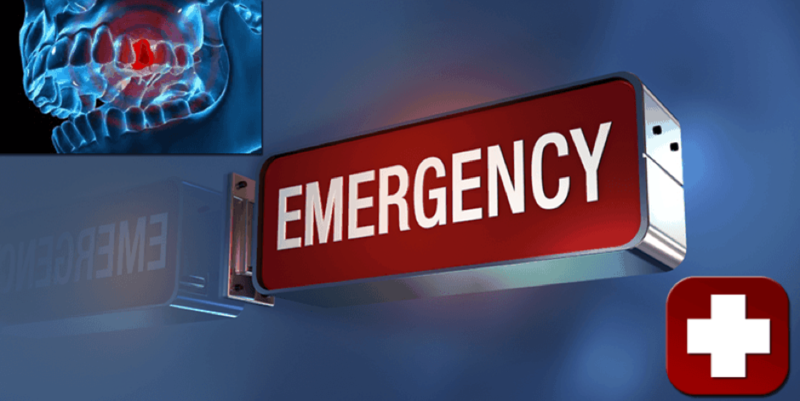 A dental emergency can be a traumatic experience, depending on your condition. First contact us so we can determine your emergency and arrange an appointment ASAP. Once you have recognized your emergency condition, just follow the following do’s and don’ts before you see us to minimise dental pain or toothache. Gently rinse the mouth with lukewarm water to remove any debris or food particles stuck between the teeth or cavities. Take an oral pain relief medication that you know is safe for you to take. Do not apply pain relief tablets directly onto the tooth (especially aspirin). It can cause soft tissue burns. Rinse your mouth out with warm water to cleanse it. Try to find the missing tooth pieces and keep them moist until you see the dentist. You can use your saliva or milk or wet gauze to keep them moist. If there is constant bleeding, apply firm constant pressure to the bleeding site using a clean cotton or cloth or gauze. Try to find out the tooth. Hold the tooth by the crown portion (top part), and never by the roots. If the tooth is clean, gently seat the tooth back in socket. Do not push it in with force. If the tooth is dirty, rinse it with milk, or with your saliva. Keep the tooth moist all the time. Place it in a clean glass or container either in milk or your saliva. If there is no clean container available seat the tooth inside the cheek of the patient. Don’t scrub the tooth and don’t remove any soft tissue fragments from the tooth. They need to be preserved. Avoid touching the socket with your tongue. Clean the area gently by slowly rinsing with warm water to locate the source of bleeding. Apply firm constant pressure to the bleeding site using a clean cotton or cloth or gauze. Keep applying pressure for some time. If the trauma is serious or bleeding cannot be controlled, seek immediate medical assistance.